WHAT IT IS: A new hair-colour trend that combines grey hair and ombre hues. HOW IT STARTED: It’s a combination of Granny Hair, which celebs like Kylie Jennerand Rihanna have sported, and ombre shades, which was also a hot trend some time ago. HOW IT’S DONE: You need to have your hair colour go from dark to grey or silver tones. 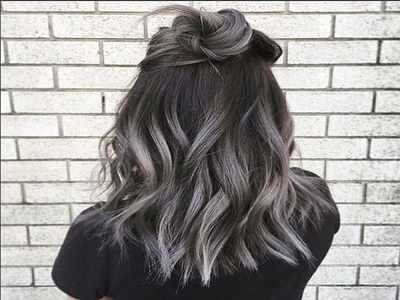 This means that you can play with grey tones without colouring your entire head of hair, or switch from silvers to darker greys or even more lilac shades. Colorful style at the 40+ blogger meetup!